How Do I Transpose Data and Stack Subgroups Across Rows in Excel Using SigmaXL? Open Catapult Data Row Format.xlsx. Manually select the entire data table. 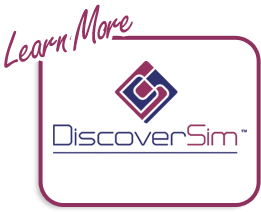 Click SigmaXL > Data Manipulation > Transpose Data. 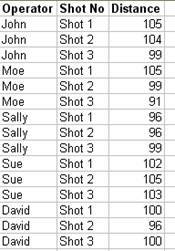 This will transpose rows to columns or columns to rows. It is equivalent to Copy, Paste Special, Transpose. Now we will stack the subgroups across rows for the transposed data. Ensure that the Transposed Data Sheet of Catapult Data Row Format.xlsx is active. Click SigmaXL > Data Manipulation > Stack Subgroups Across Rows. Check Use Entire Data Table, click Next. Click on Shot 1. Shift Click on Shot 3 to highlight the three columns of interest. Note that any selected column may be removed by highlighting and double-clicking or clicking the Remove button. 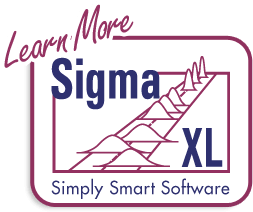 Click SigmaXL > Data Manipulation > Stack Columns. Shift Click on Overall Satisfaction_3 to highlight all three column names. Click Select Columns >>. Enter the Stacked Data (Y) Column Name as Overall Satisfaction. Enter the Category (X) Column Name as Customer Type. Data that is in stacked column format can be unstacked using Data Manipulation > Unstack Columns.